What does an end-user have to say about Concur? Does such a solution help them save time from mundane activities so they can channelize their efforts in to other productive tasks? Does it free them of repetitive work which otherwise is time consuming and tiresome? Yes, cloud-based services from Concur make managing spend simple, so employees too can focus on what matters most. Concur connects the primary pieces of business travel and spend so you can focus on what matters most to your business. 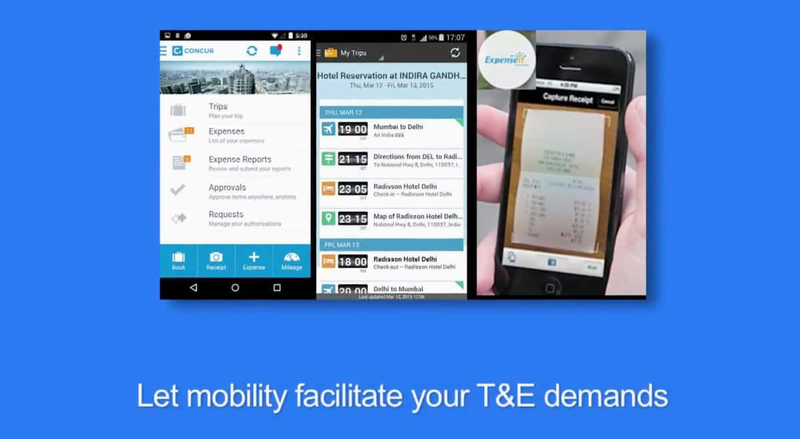 Concur travel, expense and invoice solutions work seamlessly with each other and integrate with the systems you already have —ERP, HR, accounting and other business systems —to create a single, connected process for managing your company’s spend to help you save time and money, negotiate better rates with suppliers and create happier travelers. See Concur’s full platform in this end-to-end solution demo. Concur - and apps and services built on the Concur platform - enable organizations to easily comply with tax regulations and maximize tax reclaim. Security ISO 27001, SOC 1 / SSAE16 and PCI certifications and audits enable Concur to provide security for corporate data.